After the villains have been defeated and the city has settled down, Batman gets ready for bed. 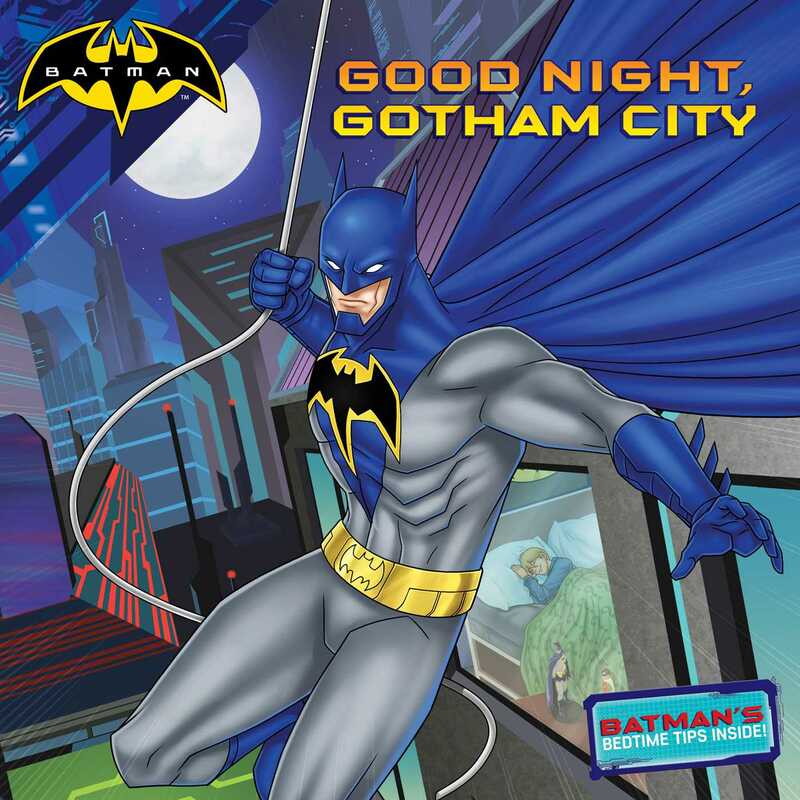 Young Batman fans will be inspired to sleep like a hero with this 8x8 storybook that comes complete with a bedtime ritual for super heroes! Come along with Batman as he completes his nightly patrol. From Arkham Asylum to Gotham Harbor, he shows Robin how to check that the city is safe and their work is done. Once Commissioner Gordon takes the watch, and the Joker gets comfy in his cell, Batman and Robin are off to the Batcave to ready their headquarters for tomorrow’s action. Then, with no adventures left to have and no citizens to save, Batman and Robin can finally rest. Sweet dreams, heroes, the city will need you again soon! Bonus Content: This storybook comes complete with a super hero–themed bedtime ritual to help readers sleep well and wake up ready for action!